Protea’s Fire and Ice is literally on fire with being ostentatious – and funky indeed! This is one of the most extraordinary hotels I’ve had the pleasure of staying in. The immediate feel is that Wow factor; it has style and a brashness emphasised by the retro fittings and décor to match. The flare of this hotel in Rosebank is a testament to the designer’s ingenuity and unique ability in creating a mood like no other. Predominately black and white features which I do love, there’s swanky chandeliers and high-backed leather chairs; you wonder when the Court Jester might arrive to entertain you. 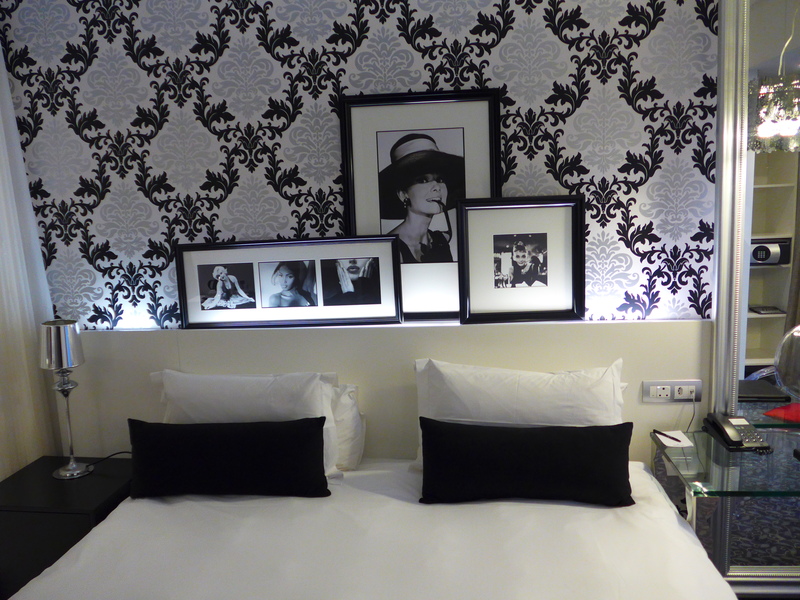 Photos of loved actors and actresses grace the entrances to each room and once inside you’ll be transported to a by-gone era as my room hailed the beautiful Audrey Hepburn. The bedroom demands a reverence as it captivates the eye with the smarmy furnishings. 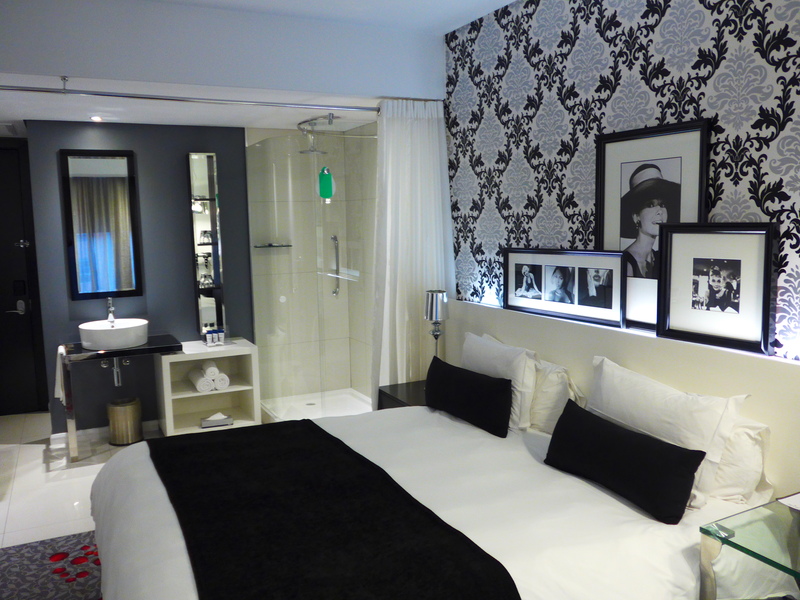 Bonus – lovely soft pillows are another joy that makes it even more desirable to return. Interestingly, the shower was a circular glass structure inside the room making you feel you’d be ‘beamed up by Scotty’ once the water was turned on. However, there’s a large curtain which can be skirted around the outside to give privacy if sharing. Nearby the window there’s an alcave on each side whereby you’re able to store your luggage and hang clothes which gives an uncluttered feel as well. The hotel exhibits its bars and eateries with elegance and sophistication. Even at breakfast the lighting and fixtures made you feel you were being courted to an exotic location rather than having your first meal of the day. On weekdays you can be given a complimentary shuttle to Sandton Railway station. To make your way to the hotel I understand Rosebank Station is the closest but a taxi ride to the hotel will cost about A$10. If going to/coming from the airport you will need to change at Sandton and take one more stop along to Rosebank.